Fortnite is a difficult game – doubly so if you head into matchmaking alone. Without any teammates to help you stay alive, you’re completely reliant on your own skills in building, traversing the map, and going head-to-head in combat. Solo mode is arguably the most difficult matchmaking setup available in Fortnite, but with some practice, you can easily survive some of its most intense challenges. Here’s everything you need to know to win your first solo Victory Royale in Fortnite: Battle Royale mode. In Solo queue, you’re by yourself with no teammates to watch your back. This means you need to rely on your eyes and ears to spot enemies nearby. Like in Counter-Strike or Overwatch, wearing a pair of headphones or earbuds can help tremendously. 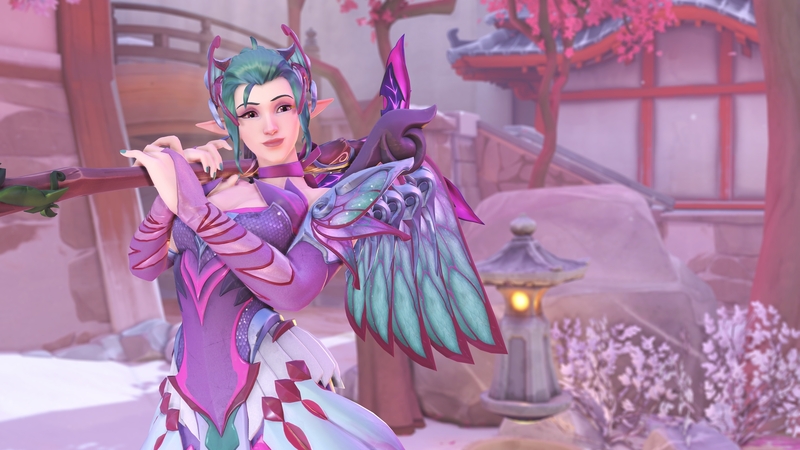 If you’re in a house and hear creaking sounds and chest-opening noises from above, for example, you may be able to take an enemy down by surprise (or outright flee the area). Likewise, if you’re walking through a valley and hear running noises in the distance, you can pivot to the source and see if you’re in danger. Alongside using headphones or earbuds during play, make sure to bump up your display resolution as high as possible on PC. Mobile players should also familiarize themselves with Fortnite’s visual indicators. These will let you know if there are footsteps, treasure chests, or enemy firefights in the nearby vicinity. In Squad and Duos matches, it’s much easier to take on enemy combatants at locations like Tilted Towers or Retail Row with a buddy (or three) to help you outsmart your competition. That’s not the case in Solo queue. Without a friend to support you, the difference between life and death comes down to your aim, available weapons, and whether you have the high ground or not. That means new players that drop at major towns or cities are in for a headache. Experienced Solo players enjoy dropping at these locations for the sheer challenge. 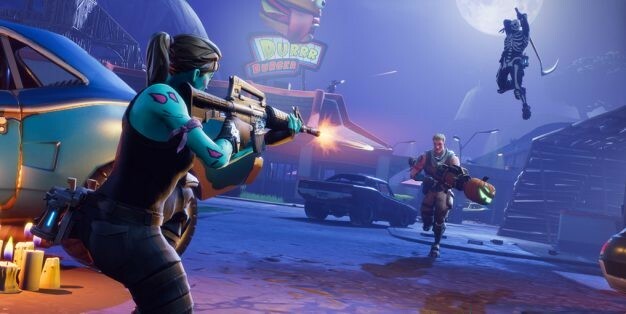 Unless you’re a veteran Fortnite player who knows the game’s major points of interest by heart, avoid dropping at the busiest Fortnite areas at the start of every game. Instead, try dropping at some of the minor points of interest that aren’t labeled on the map. Examples include the shacks west of Dusty Divot and the houses north of Tomato Temple. These are great places to collect weapons, items, and materials at the start of the game, giving you a head start before the storm even starts to close on you. In Solo mode, there are no other teammates around to scavenge areas and collect supplies. That means you are responsible for all your own weapons, items, and building materials. As the storm gradually closes in on you, keep moving through the map and rummaging through buildings, shacks, and points of interest. 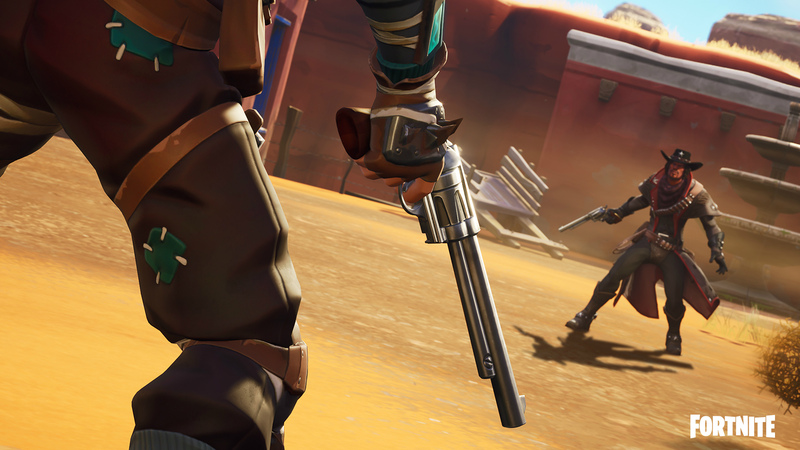 In particular, make sure to upgrade your weapons as you go along: Uncommon and Rare guns work just fine to start, but if you come across Epic and Legendary weaponry, switch to them for improved firepower. Most importantly, remember to constantly harvest materials during play. Don’t be afraid to pull out your Pickaxe and mine for more wood, stone, and metal — especially if you’re low on one of those three groups. Doing so assures you’ll have more than enough resources as mid- and late-game roll around. That’s especially true since you might want to create more forts to protect your flanks during battle. After all, the last thing you want is an unfinished sniper tower leaving you exposed during the final one-on-one firefight! With no other players around to help you, building falls on your shoulders. If you want to dominate Solo queue you need to become a fast builder that can quickly lay down structures, edit tiles, and repair damaged infrastructure. Don’t worry if you’re not exactly an engineer at heart: practice makes perfect. Before hopping into your first couple Solo matches, try memorizing several basic defensive structures. 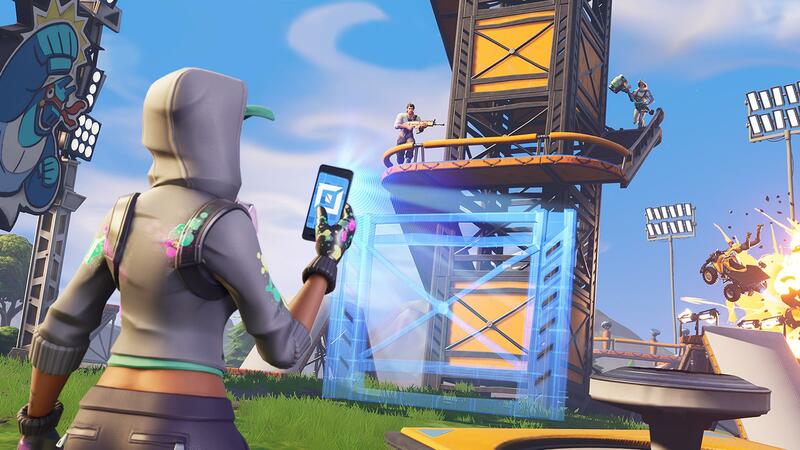 Panic ramps are a great start: easy to deploy and ridiculously useful in early- and mid-game, these ramps let players earn the high ground along with some light cover. Sniper towers are also vital for mid- to late-game. They let players secure advantageous positions to fire away at exposed enemies on the ground below. To learn how to build quickly and efficiently, head over to Creative mode’s hub and enter your island! 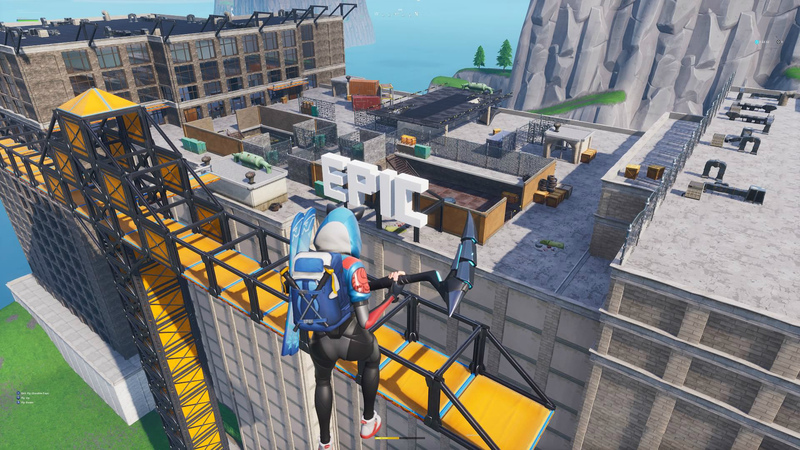 Here the game provides unlimited materials for building in Creative mode, letting players practice creating and editing structures as fast as possible. 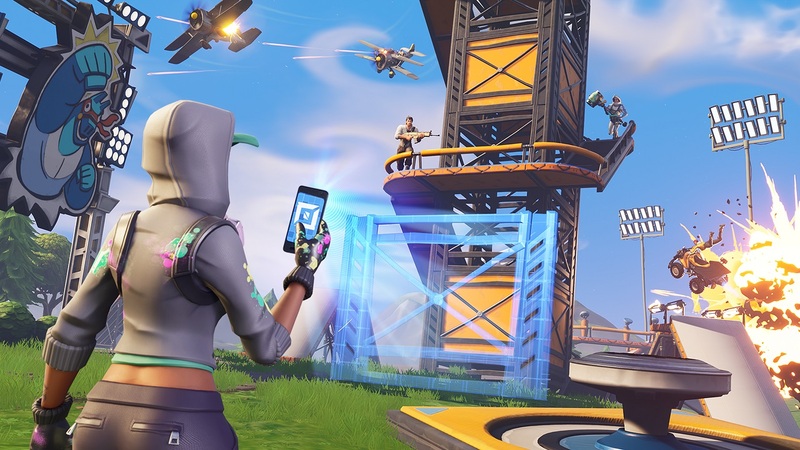 Several Fortnite fans have also made their own warm-up obstacle courses that focus on building and edit mode reflexes. 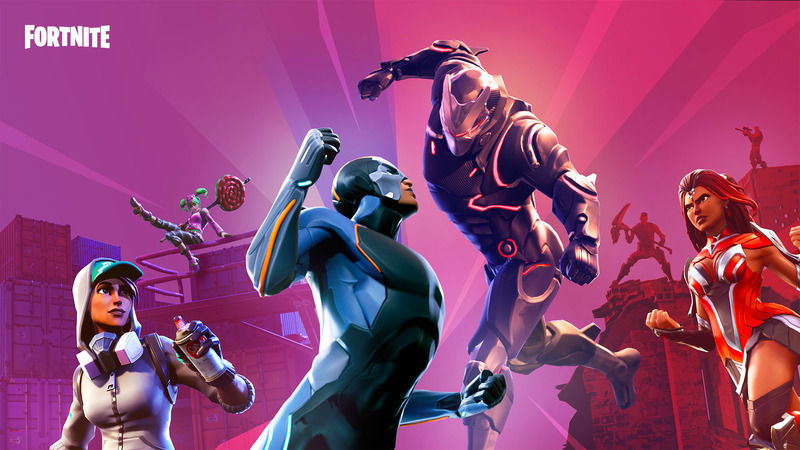 For more information, check out our guide to Creative mode’s best practice courses before playing Battle Royale. In Fortnite, Solo queue is much slower, quieter, and more intense than Squads and Duos. That’s because combat is riskier. There’s no one around to revive you if you lose all your HP! So all it takes is one player with a powerful Sniper Rifle to end your match. Combat is much more strategic in Solo Fortnite for that reason. If you see an enemy, open fire only after careful consideration. For example, if you’re positioned on the high ground in a tower, but only have medium- and short-ranged weapons, it isn’t advantageous to open fire at enemies in the distance. You may just attract their attention without dealing any considerable damage. Meanwhile, if you have an Assault Rifle and can ambush an enemy player busy scavenging for supplies, go for it: you have nothing to lose… As long as your shots connect. Granted, this rule doesn’t apply to do-or-die situations. If you accidentally bump into an enemy while scavenging for supplies, open fire with whatever you’ve got. And if you can’t do that, well, try your best to escape. And of course, above all else, have fun! We hope these tips will help you win your first solo Fortnite match, but it’s all meaningless if you don’t enjoy it. Now get out there and achieve Victory Royale.